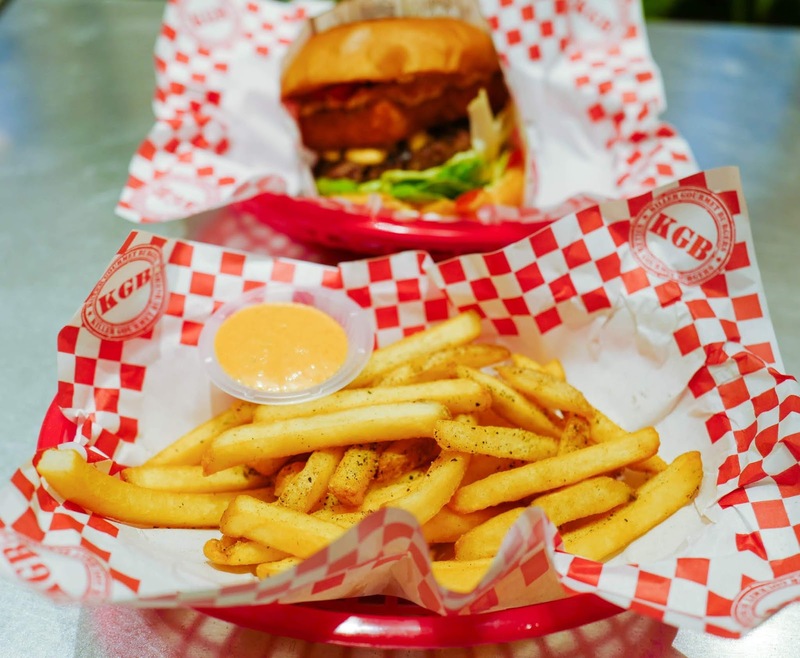 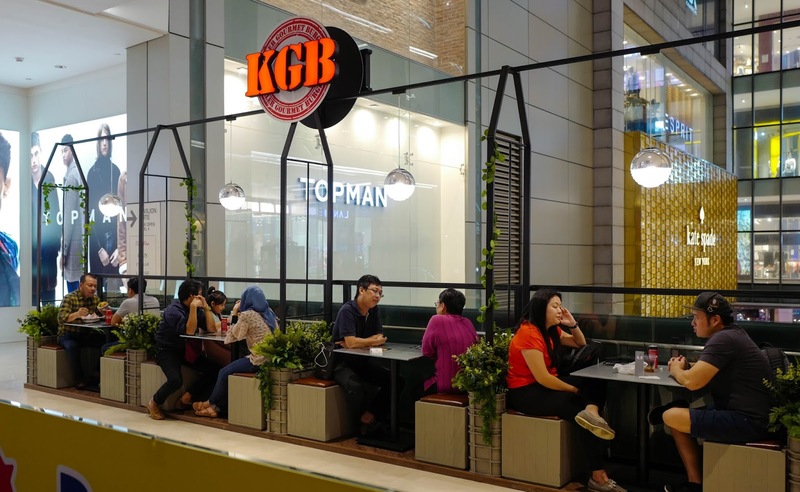 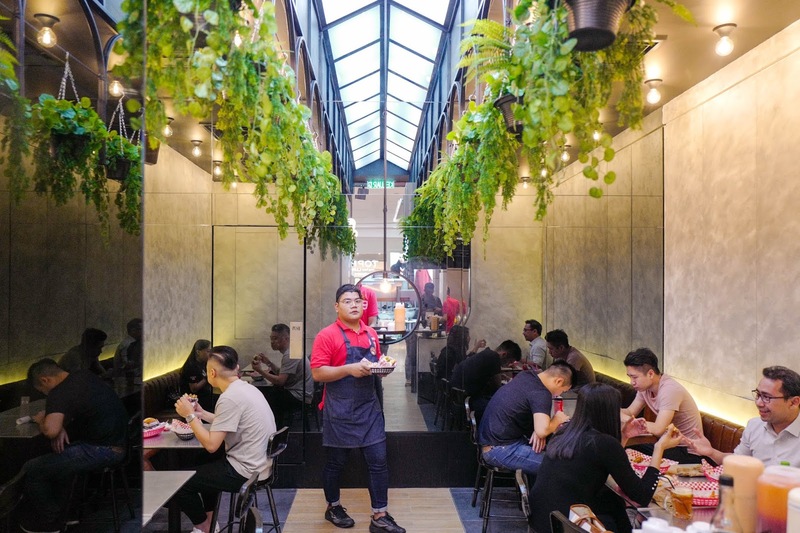 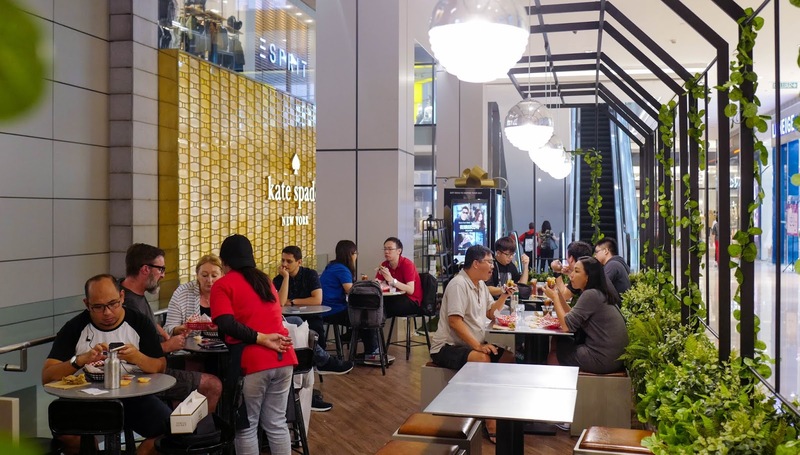 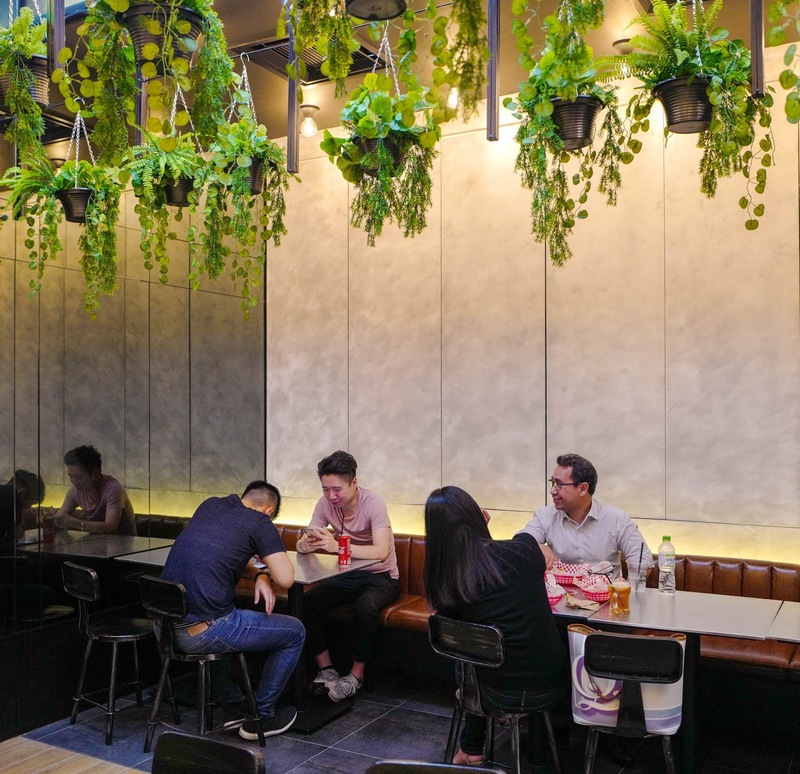 KGB is finally bringing its killer gourmet burgers to KL's commercial centre - it's still the KGB we know and love from Bangsar, TTDI and Mid Valley, but we really like the look of this Pavilion mall outpost's gleaming, garden-inspired setting, sleekly outfitted for the Golden Triangle. 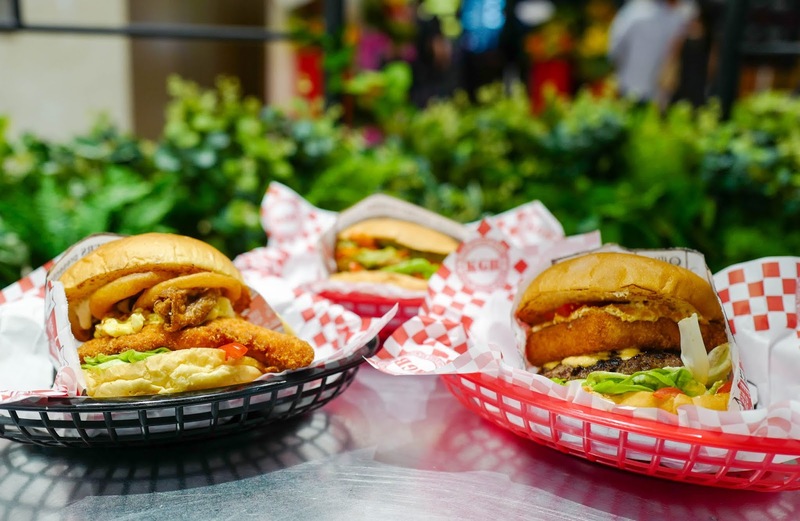 These burgers are clearly ready for the bright lights and big city! 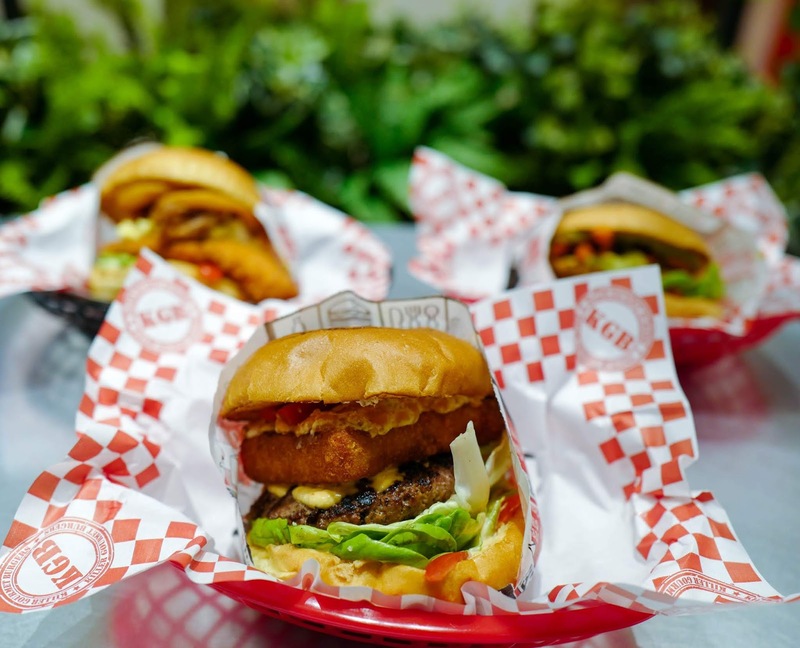 With a new branch comes a new burger: the Pimento Mac Stack is the comfort-food version of premium fast food, with a choice of grilled beef or chicken crowned with deep-fried mac-and-cheese for a mighty marriage of the succulent and savoury with the crisp and creamy, balanced by pickled pimentos that supply a vibrant edge to this crowd-rousing creation (RM19.90). 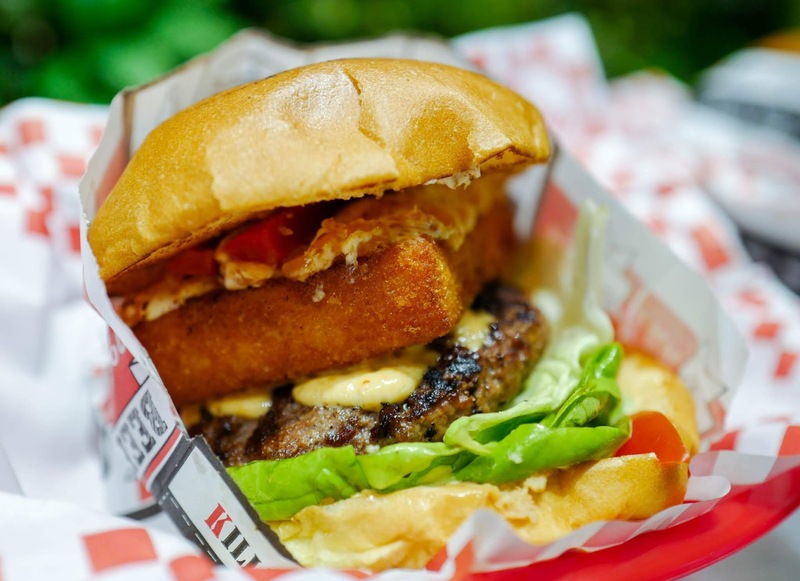 The Pimento Mac Stack is a revamp of the promotional Raclette Burger that KGB has offered on and off this past year, so if you enjoyed that, order this. 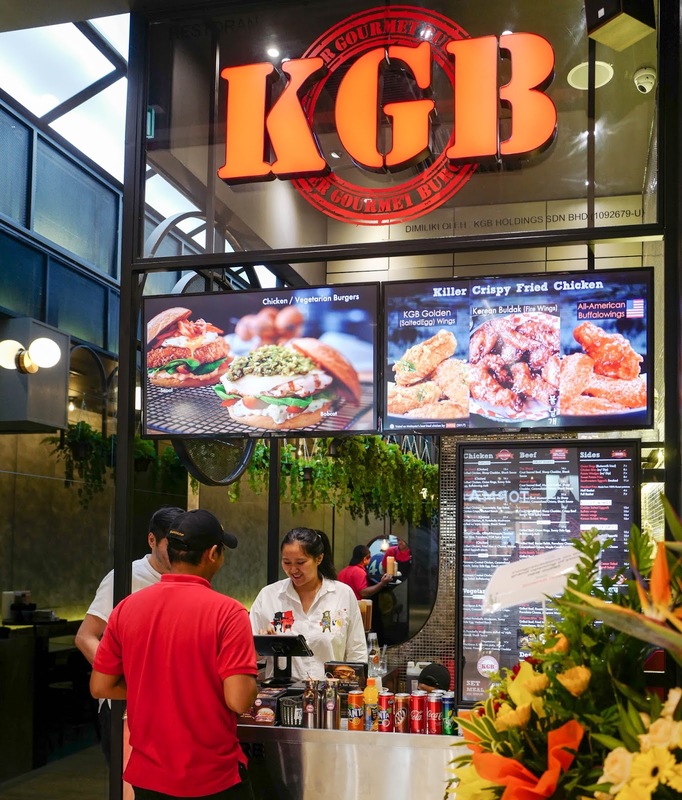 It's currently exclusively available at Pavilion, so KGB loyalists have a compelling reason to head here soon. 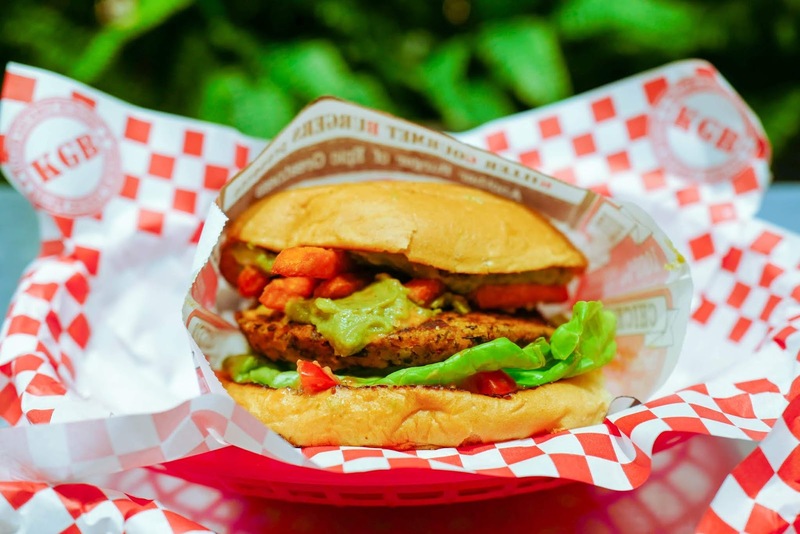 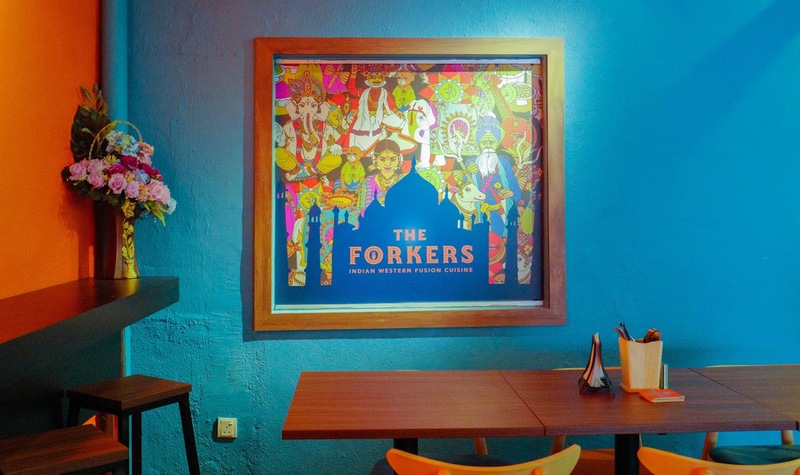 More than 20 varieties of burgers remain available, with patties that span American diner-style crust-seared beef to chicken fried with a parmesan crust, plus vegetarian possibilities that include black bean and pistachio or portobello mushroom. 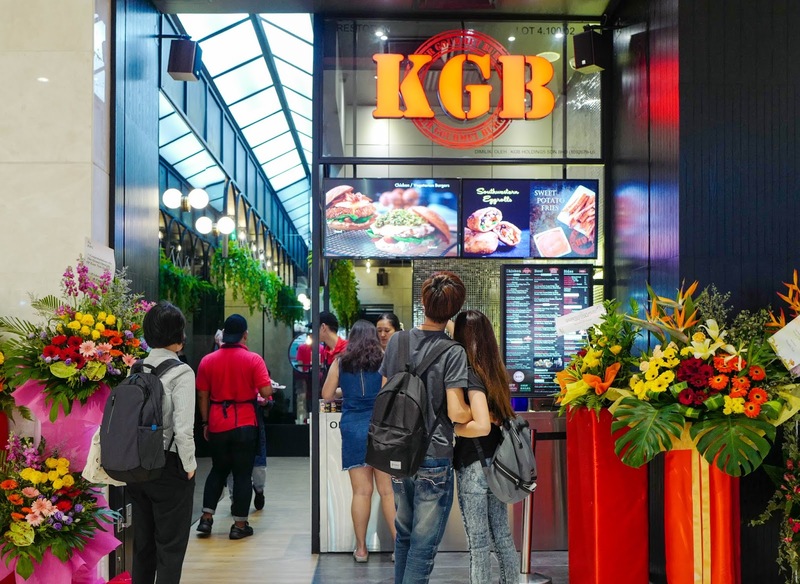 Prices are precisely the same across all of KGB's locations. 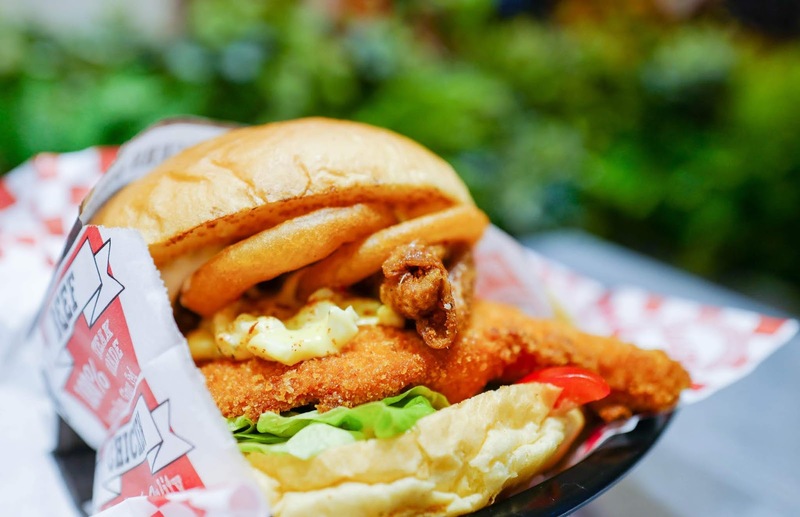 For a few playfully pleasurable recommendations, the Hot Mess is a sure-fire hit, comprising the parmesan-crusted fried chicken with a decadent ensemble of deep-fried hot wing skin, buffalo wing aioli, onion rings and egg salad (RM17.50; this was originally concocted years ago at the suggestion of one of KGB's regulars who still frequents the joint for a fix), and Chloe's Earth Burger, with the house-made black bean and pistachio patty buoyed by sweet potato crisps, guacamole and special soy-based mayo in buns that rely on an egg-free recipe (RM16.90). 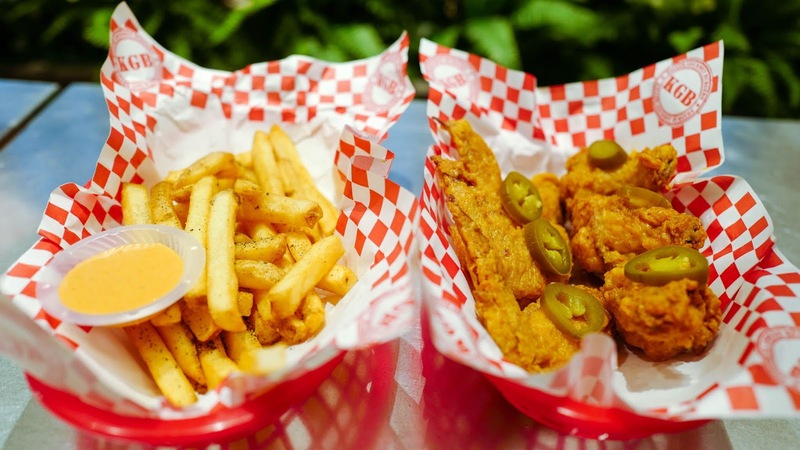 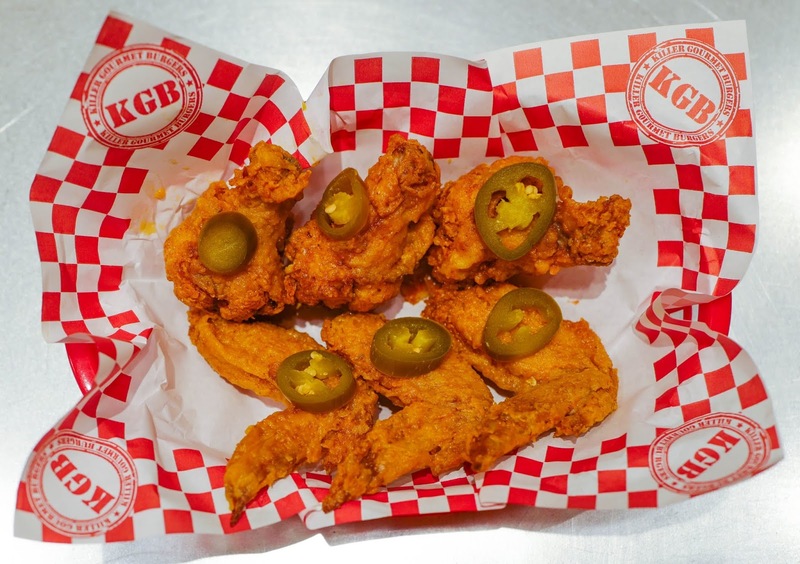 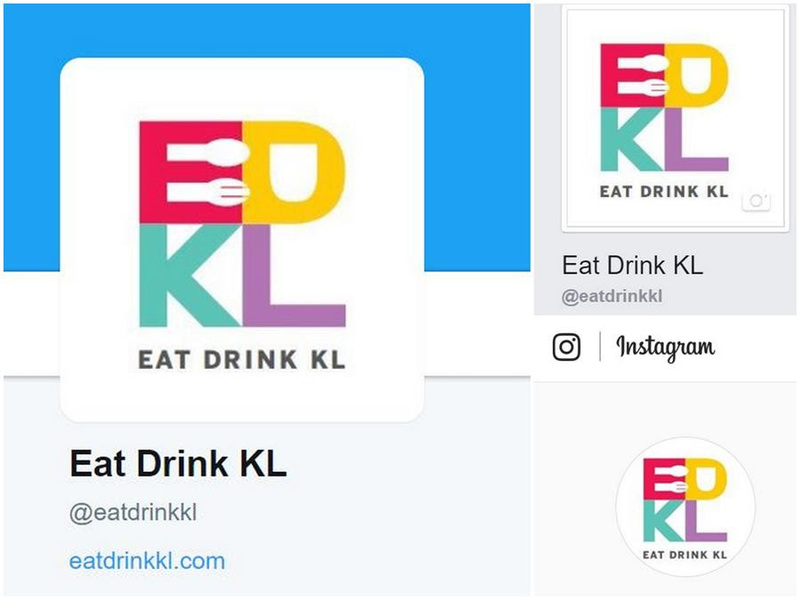 Round out the KGB experience with Hand-cut Russet Potato Fries (RM4.50 for half-basket) and Killer Wings (RM13,90; the Golden Salted Egg Yolk flavour, double-fried for extra crispiness, is especially gorgeous). 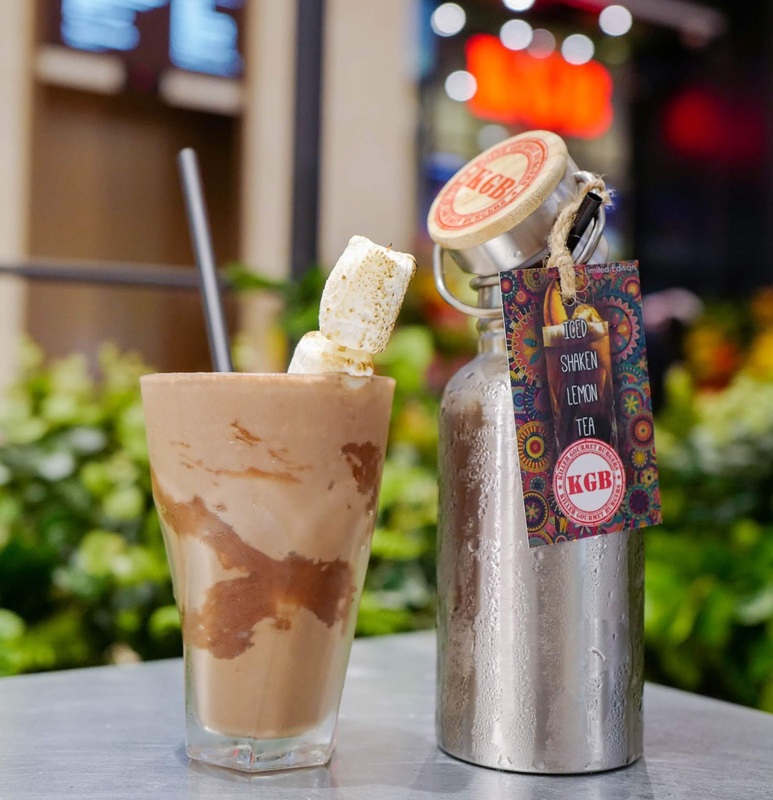 KGB also promises some of Pavilion's most satisfying milkshakes; check out the Nutella S'mores, blending the richness of chocolate with hazelnut,Â complete with whole marshmallows (RM13). 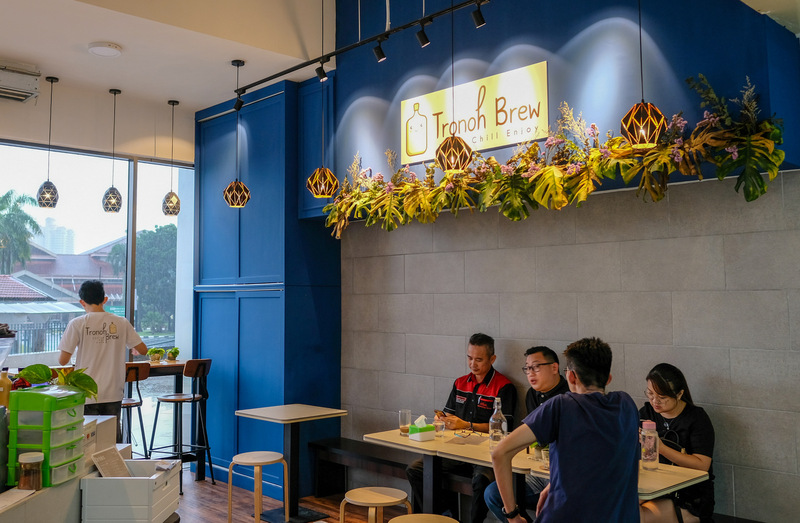 If you feel like a lighter thirst-quencher, the Iced Lemon Tea is ultra-refreshing, served in a container that keeps your beverage cool for longer than the norm (RM7). 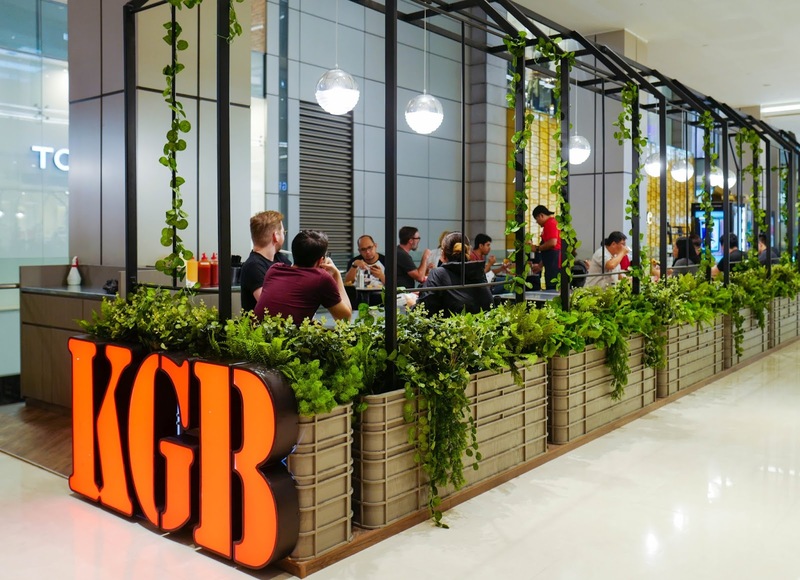 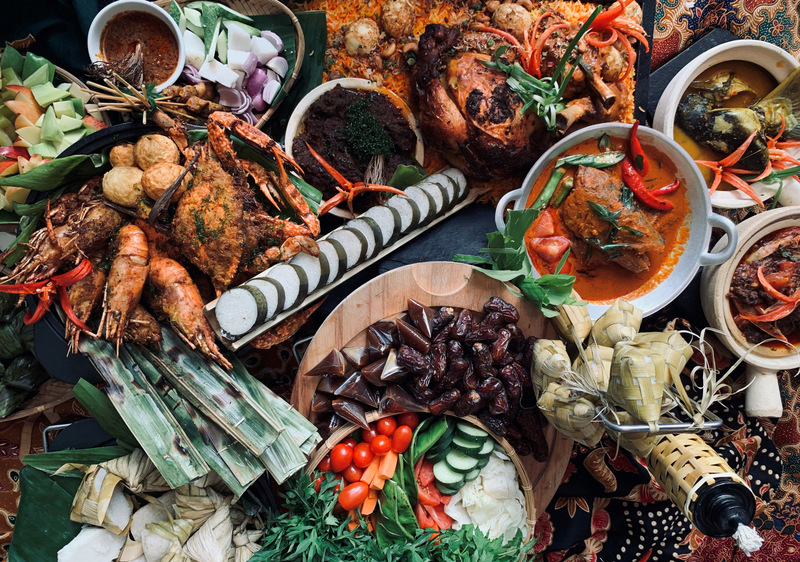 Many thanks to the KGB Pavilion team for having us here - we're looking forward to their next openings (IOI City Mall and Empire Shopping Gallery, watch out!). 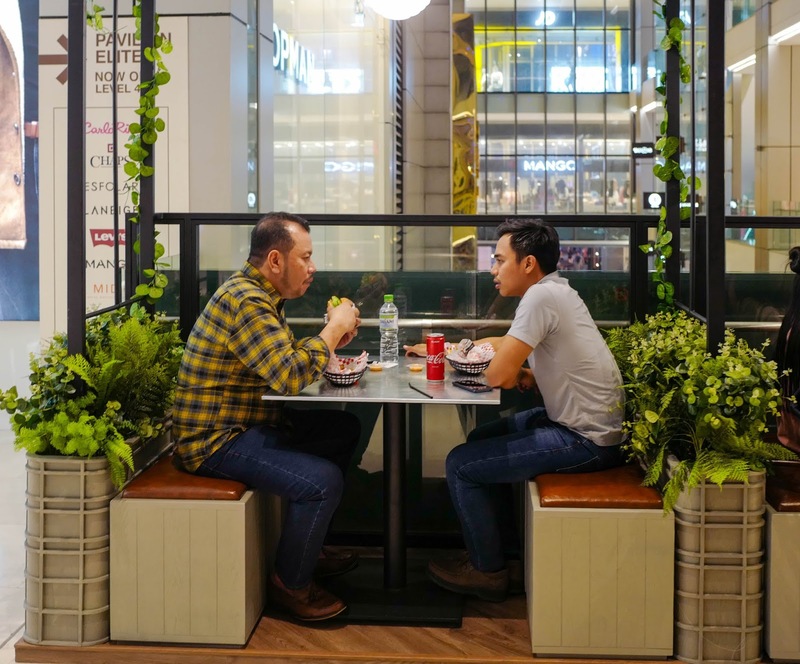 Lot 4.100.02, Level 4, Pavilion Elite, Pavilion Shopping Mall, Jalan Bukit Bintang, 55100 Kuala Lumpur.